Lowrance Elite 5 with all components - Lake Houston Fishing! This is a flush mounted unit. I do not have the bottom part for deck mounting as it was mounted in the dash. Comes with trolling motor mount transducer and transom mount, cover and all the cables. I was mounting it in the dash but made some other changes and don't need it now. Has GPS, sonar and DI. Forgot to put price....$200. 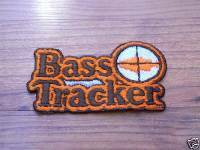 Bassman I am interested if you still have this I could use a depth finder on the trolling motor.